The BJP on Saturday accused the Congress of making multiple false promises in its election manifestos of 2004 and 2009 and said people are smart enough to not be mislead by such promises this time. "For us, manifesto is a very important document. The way Congress takes its manifesto, and the way it has been making false promises...this country's people are smart enough to reject such false promises," said Railway Minister Piyush Goyal at a press conference at the BJP office here. "Through lying and by making false statements, this country's people can not be mislead," he added. Going into the detail, Goyal said, "Congress made big promises in all of its previous manifestos. In 2004 and in 2009, the Congress promised that it will provide direct income to farmers. After running the government for 10 years, they did not do anything about it." Goyal said it was under the Modi government that a decision was taken to give Rs 6,000 to poor farmers. "It was implemented within 24 days, and currently, all poor farmers have started getting annual Rs 6,000 assistance," he said, referring to the first installment of Rs 2,000 released by the government. Goyal also accused the Congress of making the false promise of providing electricity to every home in the country in 2004 and again in 2009. "The then Congress president even said in 2004 that within 3-5 years, we will provide electricity to every home," he said. "When our government came, 18,452 villages were un-electrified... Within five years, we electrified all remaining villages. We have worked to provide electricity to every home," he asserted. "Congress had said (in its previous manifesto) that it will keep zero tolerance on terrorism. Today, the whole world has seen how the Congress's hand is standing along with terrorism," he added. Goyal said when BJP government attacks terrorists forcefully, the Congress president, Rahul Gandhi, and other senior Congress leaders raise questions on it and "give support" to terrorists. "The country that harbours terrorists, their TV channels show the speeches of them (Congress leaders), so that Indians and Indian armed forces can be weakened," he said. He added, "How they went soft on terrorism, it can be seen in the way they removed the POTA law." Alleging that the Congress wants to dilute laws that are used against terrorists, he added, "I think they do not want any strict action against terrorism. They did not like that we kept Kasab in jail and sent him to the gallows. I think they want terrorists like Kasab should be able to get bail." For the economically weaker sections, Congress had promised in 2004 and 2009 that reservation would be given to them, Goyal said. "Neither did they implement it, nor did they give it a thought. It was NDA government that fulfilled this promise by giving 10 per cent (quota) to the economically weaker sections," he said. Congress promised in its manifesto in 2004 and 2009 that it would give one-rank one-pension to everyone retired from the armed forces, Goyal said. "It was only in its last interim budget that the Congress said it will fulfil the promise. After 10 years, when it was time to vacate the central government, they allotted just Rs 500 crore for it. Prime Minister Narendra Modi, with utmost respect to the armed forces, implemented the one-rank one-pension scheme," he said. In 2004, Congress wrote in its manifesto it will root out corruption and generation of black money. "It is funny that they themselves were indulged in multiple scams after that 2G scam, coalgate scam, AgustaWestland scam, Commonwealth scam. And they kept promising alongside that they will remove corruption. Under Modi government, we have removed corruption and blackmoney. We attacked it. Through law, we forced a lot of people to pay their loans," he said. Congress said in 2009 that it will improve the economy and from April 1, 2010, it would implement the GST. 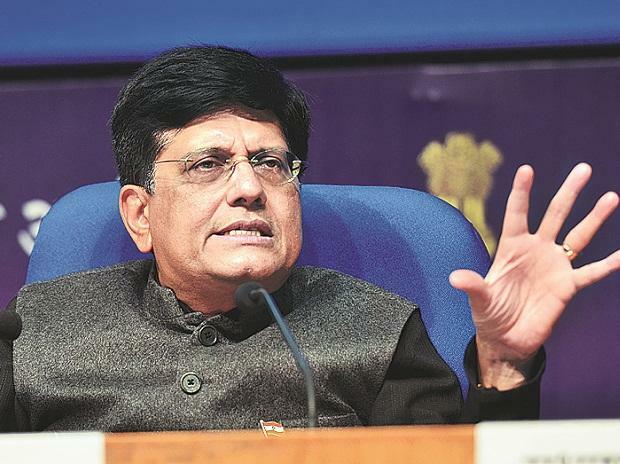 "But they did not improve the economy, growth rate kept falling, inflation kept rising, interest rates kept rising, fiscal deficit at one point reached 6.5 per cent," Goyal said. "Congress promised in 2009 that within three years, we will provide internet broadband services within three years. But till 2014, they were able to take broadband to 59 villages only. We, in the NDA government, provided broadband services to 1.2 lakh villages," the minister added.